NASA’s Cassini spacecraft, which will soon be ending its mission, recently sent a photograph back to Earth that is quite awe-inspiring. 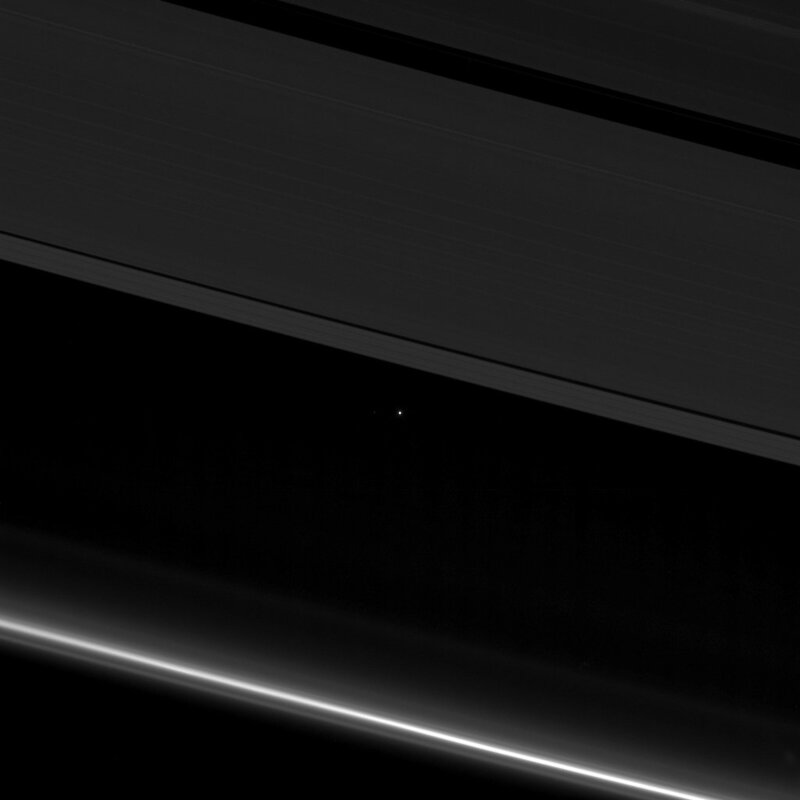 It is an image of us, of the Earth, framed between Saturn’s rings. We are the dot in the center of the photograph. Like the famous “Pale Blue Dot” photograph, this image shows just how big the universe really is. We are floating on a speck of dust in the middle of a black nothingness so large that it is impossible for us to comprehend. The moon can even be seen faintly to the left of the Earth. While this may make us feel small and insignificant, it can also tip us towards the other extreme of the spectrum, and help us to realize just how absolutely remarkable it is that we are alive, that we live and breathe and move on this little speck of dust floating in the infinity of space. We are made of the same dust of the Earth, which had its beginnings in the cores of stars that went supernova billions of years ago. And we are alive! How great is that!? We are great, because we live, we have life, and because we can reflect on ourselves and our place in the universe, and because we can take photos of our living place from 870 million miles away. It is wonderful, wonderful to me!